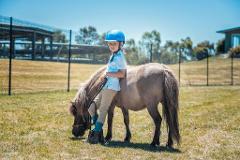 30 minute lessons are great for our younger riders up to the age of 6 who are better suited to the shorter time period. 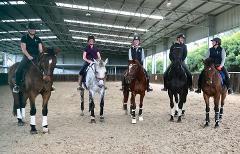 The 30 minute lesson however is open to all ages to come and enjoy their ride time. 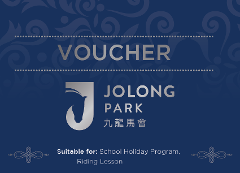 Janelle Martin with over 20 years riding experience is the "jewel of Jolong". Her professional, knowledgeable personality is what allows our students to reach their full potential. From flat work to jumping, she has it all covered. Semi private lessons are for two (2) people. Lessons are 45 minutes riding time. 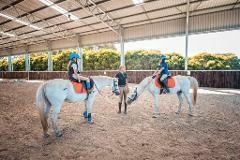 We encourage riders to arrive 15 minutes earlier to partake in grooming and tacking up their horse should they wish.